Last week, a cryptic Aphex Twin logo was spotted in the Elephant & Castle station of the London Underground and since then, similar, equally-mysterious images have popped up around the world. On Monday, another 3D image of the Aphex logo sinking into a tunnel appeared on a garage door in Turin, Italy, and now a third has been found blending into the ivy at Amoeba Music’s Hollywood location. Fans still aren’t sure just what this means in terms of concrete plans for the producer, who’s always been fond of elaborate announcements. In the buildup to his 2014 album Syro, the electronic musician flew a promotional blimp over London, later stenciling his logo on the streets of New York. 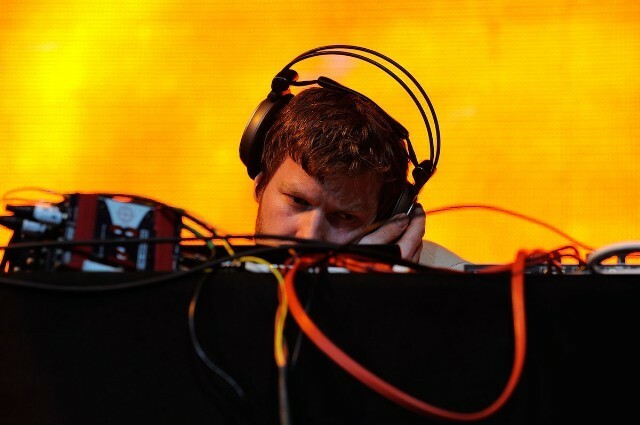 The BBC recently debuted a new radio documentary on “the Cult of Aphex Twin” earlier this year, and the producer launched a new online store packed with unreleased tracks, rarities, and more in 2017. Check out his latest teasers below. Update(8:00pm EST): Another Aphex Twin logo has been spotted, this time in the form of a billboard in New York City located at 46th Street and 12th Avenue in Hell’s Kitchen, Manhattan. Check out an image of the billboard below. Après Londres, Aphex Twin fait son apparition dans les rues de Turin.